Do you have enough money? Do you have enough time? Are your relationships working? Is your work satisfying? How is your physical health? Absolute Abundance is about all of these things! In this 5-week course, you will expand your awareness of the prosperity that is all around you and release the beliefs, the behaviors and the habits that are blocking your good. You will receive a blueprint of how to manifest true prosperity in all areas of your life. Rev. Ken Daigle has created an amazing, interactive class that is not only FUN, but also includes a variety of exercises, videos, games, readings, and other learning modalities. Absolute Abundance is an amazing, interactive and creative course that includes a variety of exercises, videos, games, readings and other learning modalities that teach participants about abundance in many different aspects of their life. The class is designed at ten weeks in length to allow for a shift of consciousness and contains a series of assignments and readings to foster and facilitate that shift. Absolute Abundance draws on the contemporary work of social scientists such as Amy Cuddy, Brené Brown, Adam Grant, Fred Luskin and many others. It relies on the wisdom teachings of Unity’s teachers: Emilie Cady, Charles Fillmore, and Eric Butterworth. It is also inspired by current thought leaders like Marianne Williamson, Desmond Tutu, Deepak Chopra and Eckhart Tolle. Unity on the River is an inclusive spiritual community. of age, gender, ethnicity, race, nationality, orientation, identification or ability. 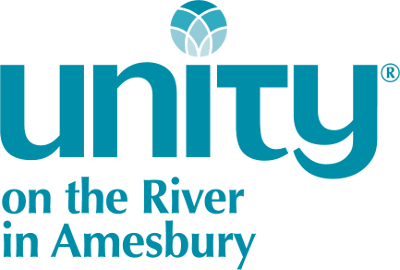 © 2019 Unity on the River in Amesbury. All Rights Reserved.